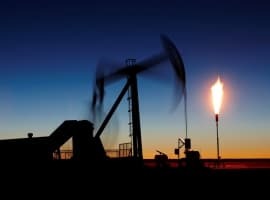 The oil bust has created the longest period of declining investment in the global energy industry in nearly half a century, according to a new report from the International Energy Agency. Oil and gas investment declined by 25 percent in 2015 to just $583 billion. 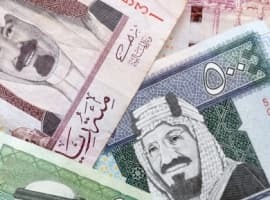 The declines are expected to continue through this year, falling by another 24 percent to $450 billion. By way of comparison, oil and gas investments exceeded $750 billion in 2014. “It may well be the case that investment will fall in 2017,” Birol told The Wall Street Journal in an interview. “We have never seen [a three-year decline] in history,” he said. To be sure, much of the fall can be attributed to cost deflation – lower oil prices and falling costs for equipment and services. The IEA says that cost deflation accounts for about two-thirds of the total decline. But the other third is due to falling activity. Renewable energy saw global investment hit $313 billion in 2015, or about one fifth of total energy spending. In fact, renewables were the largest source of power investment, and the investment in new renewable electricity capacity was more than enough to cover the growth in demand, a sure sign that renewables will continue to capture market share. For oil and gas, the severe cutback in spending raising the possibility of tighter supplies in the future, the IEA cautions. Because fossil fuel supplies cannot be ramped up at a moment’s notice, producers may struggle to keep up with demand once the surplus is worked through. That suggests higher prices will return. I think an oil price spike, and subsequent peak in global oil output, will be the black swan that many smart financial types fear will pop the gigantic credit bubble which has been expanding for the last 40 years. Here is how I see it playing out. A reduction in oil available has to shrink the global economy. It is physics that man can't change. Oil is too important in the critical transportation sector to avoid an economic contraction, with less of it being available. Worse, you need to consume oil to make the transition to any other type of energy. That will be true for at least a couple of decades. With the massive amount of debt out there, a recession caused by not having enough oil available to avoid an economic contraction, will quickly turn into an economic collapse. Interest rates can't be lowered below zero and do anything to stimulate consumption. Negative interest rates probably cause enough fear that people save more, so they lower consumption, more than they boost it. Less money being created as interest income, and more savings, actually shrinks the economy. Read the article, 'Negative Thinking' by Satyajit Das in MarketWatch. He is not alone in his belief that a credit bubble popping collapse is coming. Bill Gross said the same thing in his 'Credit Supernova!' Check out the graph of total debt in that sucker! You can't keep growing debt much faster than real economic output forever, if you are forced to shrink the economy due to less energy being available to run things. They can probably keep the game going until the oil peak begins. How long that will take is hard to predict. 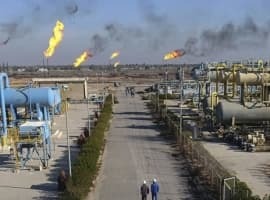 It probably depends on how fast Iraq and Iran can ramp up their oil exports, since most other exporters are producing as much as they ever will. Don't think US shale oil will save you. There isn't enough oil in shale to run the world for very long. I will be surprised if the crisis doesn't hit before 2023. You will know the end is near when the oil price begins to double every couple of years. I saw that the latest GM electric car can go over 200 miles on a charge. You might want to go electric after 2019. They will keep the grid energized as long as possible because without it working, industrial civilization ceases to exist. Without electricity, we're toast. The latest word from the solar industry is that panel makers are also falling into a glut. The price could fall as low $0.30/W. It's not clear what countries will soak up the surplus. China is pretty saturated. So perhaps India or less developed countries. India wants to install about 100 GW by 2022. Super cheap solar could be a real boon for less developed countries where oil products are widely used for cooking, lighting and power generation. So a solar glut really could cut into demand for oil, not just for coal and natural gas. Moreover, a solar glut could have lasting impact on fossil demand since panel will generate power for about 30 years. Oil and gas should be used to produce products that last. Burning it as fuel is wasting it IMHO. If we need to burn it then it should generate electricity. If you do the calculation how much energy in hydrocarbon (as comes from ground) is used to propel a vehicle, in example, an electric car beats vehicle propeled by ICE hands down. As more and more night load such as street light are converted to high efficiency (LED) lack of night load will become a problem for electric energy generators. Electric cars, if used in large numbers, could provide convenient night load.